Enjoy 5 ($8) or 10 ($15) Tastings of hand-selected wines, liqueurs and spirits paired with fabulous chocolates and Italian cheeses. You will be presented with 5 or 10 tickets or more, based on your total ticket purchase, when you check in for registration at Simpatico. The tickets can be used to redeem for the equal number of Wine-Liqueur-Spirit-Chocolate-Cheese tastings offered at our venue. Join us in our heated tent and the shop for special paired tastings of fabulous wine, chocolate, liqueurs, spirits, cheese & more! Purchase Wine-Liqueur-Spirits-Chocolate & Cheese Tasting Tickets here https://www.simpaticostmichaels.com/events-1/simpatico-chocolatefest-at-st-michaels-tasting. Be prepared for two days of Chocolate delight from 11 AM to 5 PM on Saturday, March 2nd and Sunday, March 3rd! We are offering a lineup of our favorite Italian red, white and sparkling wines and our favorite Dark and White Chocolate liqueurs and Spirits to taste with Italian chocolates and cheeses, all especially paired for your delight. 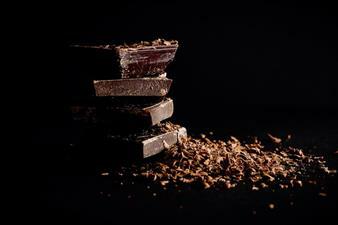 You can learn about how to pair the various types of chocolates with wines, cheeses, and spirits. We also have regional artisan Chocolate makers with their delightful chocolates to taste and purchase under our heated tent. Also, we are offering tastings of our Italian Chocolate Desserts, Biscotti, Cookies, and More! Don’t miss our fabulous offerings at the ChocolateFest at St. Michaels!